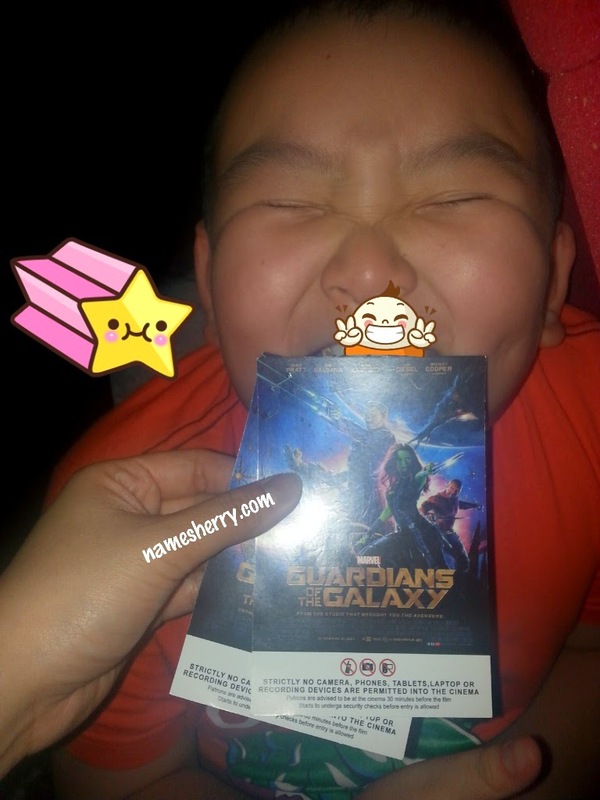 Two days ago, it was mother and son night out where we get to watch Guardians of the Galaxy thanks to Churp Churp. Movie is rated PG13. He's been waiting to watch this movie anxiously and we have same favourite character that's Groot! I think this movie is gonna be fun to watch with children who likes Marvel, my son and I enjoy the movie from start to the end of it. There's less blood spill in the movie so no hurry bring your children to watch. Chris Pratt as Peter Quill, he was a young boy kidnapped by alien in space ship outside the hospital. Zoe Saldana as Gamora, she's in green color skin. Dave Bautista as Drax, body fulled of tattoo, he's the muscle guy. Bradly Cooper with the voice of Rocket, a raccoon that can talk and loves making bomb, etc. Vin Diesel voice of Groot, the tree with big heart, his favourite line I am Groot. Find out how they team up to fight Ronan, as Ronan wants his orb back. The orb was stolen by Peter who also known as Starlord. He wants to save Xander from Ronan destroying it. My favourite part of movie was how Rocket lying to Peter that he needs a fake leg in the jail. Rocket can be so funny... he even mentioned of an eye! Watch it to find out..
Peter Quill has his very own space ship, he was wrongly called as Star Prince instead of Starlord. Find out how Xander trying to avoid Ronan's space ship looked to enter its ground. In this movie is where Peter Quill find out that he's half man and half alien, he's mom is from earth but his dad is not. Your son 13 already meh? hehe! PG13 is mean child below this aged this at least one parent together to watch the movie.